Whenever the kids find me in the kitchen, they’d excitedly grab the nearby stools and shout “We want to help, we want to help!” Most of the time, I do let them. They help me measure, add ingredients, and mix them. I even allow the older one in front of the stove, under close supervision of course. It’s no wonder that this poster appealed to me, even when my kids are boys! 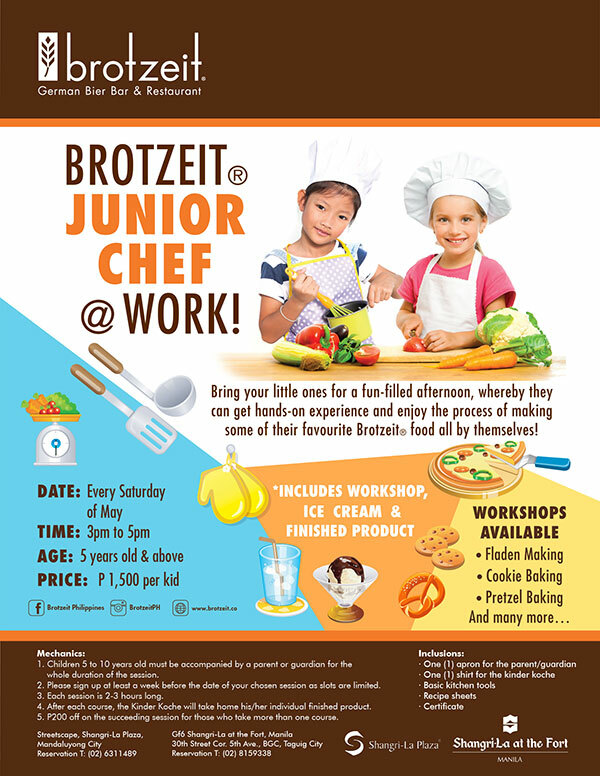 For all Saturdays of May, Brotzeit will be having their Brotzeit Junior Chef @ Work where little ones can have a fun afternoon of making their own favorite Brotzeit food. They can learn how to make their own Fladen, Cookies, and Pretzels. It will be an exciting experience for little kids complete with aprons, cooking tools, and certificates. They will also get to taste and bring home the products that they made. Children 5-10 years old must be accompanied by a parent or guardian for the whole duration of the session. Please sign up at least a week before the date of your chosen sessions as slots are limited. Each session is 2-3 hours long. After each course, the Kinder Koche will take home his/her individual finished product. For more information, you can get in Touch with Brotzeit via Facebook and Instagram. 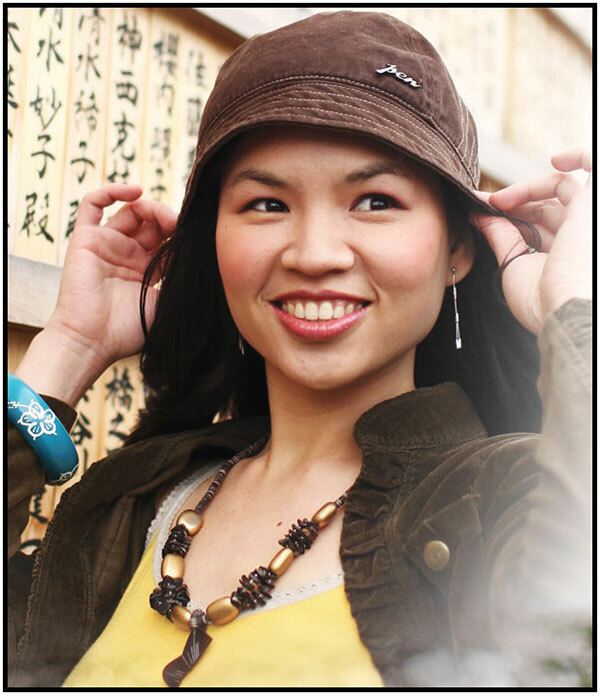 You may also contact Malou Gonzalez at malou@brotzeitphil.com for schedules and registration. This looks like a fun mother child bonding moment. My son loves food and would definitely enjoy this. Aww.. my kids are still too young to try this. Cooking is such a great bonding and learning activity! My eldest loves watching Junior MasterChef so I’m pretty sure she’ll enjoy this workshop. Too bad I have shift ng weekends. Would really love to try this. This sounds so awesome and educational. If it were held in my city, we would surely join, too! Such a fun workshop. Even if my boy is older than his classmates that day, he still enjoyed the session. And once at home, hes very proud of his pretzels and even recited to his brothers thwningredients and how he baked them. Highly recommended to children as young as five. They are such as joy to watch. I have a daughter who likes to bake. Unfortunately, she’s already 13 years old and therefore too old for this workshop. Will have to see if my 5-year-old son will be interested in this. My son also loves cooking because he sees me in the kitchen, but he’s just turning 2 this year. I hope there are still events like this in the future. He’s surely enjoy this. My husband loves to bake and I’m sure he’ll be more than happy if our future kid learns to bake as well. Thanks so much for this. ? We attended this today and it’s so much fun! Jael had a fun time making hi very own pretzel. My eldest loves it when I’m in the kitchen and insist that she’ll help daw, even if she ended up making a mess most of the time :)) I wanna try this too, but my kids are still below five. Maybe next year, perhaps? My daughter has been attending culinary workshop for the past 3 summers and she can now cook and bake without any assistance. This is a nice workshop because it encourages kids to appreciate the kitchen, and sometimes be creative in baking or cooking dishes.